ECDPM. 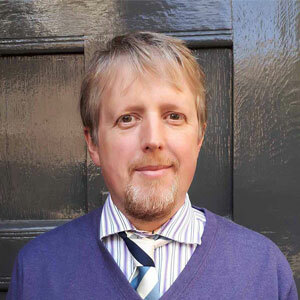 2014. 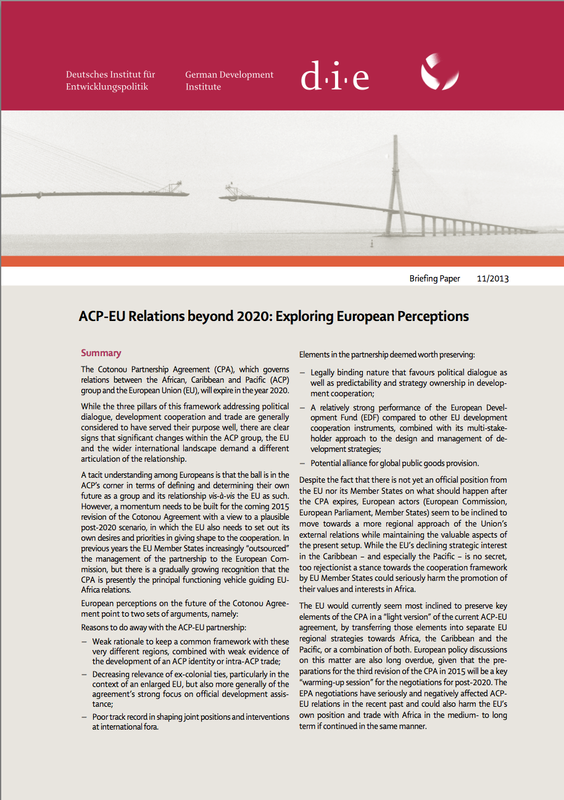 The future of ACP-EU relations post-2020: An overview of relevant analysis by ECDPM. (Version 1, December 2014). Maastricht: ECDPM. The Cotonou Partnership Agreement between the European Union and the African, Caribbean, and Pacific (ACP) Group of States aims to reduce poverty and contribute to sustainable development with the gradual integration of ACP countries into the world economy. It will end in 2020, and discussions on its future have now begun in earnest and will be a top priority for the ACP and EU development focussed stakeholders during 2015. 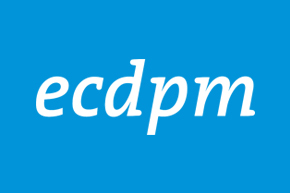 Designed for policy makers, practitioners and interested stakeholders in ACP and EU countries, this ECDPM guide brings together, in a quick summary, various ECDPM resources which are relevant to this multi-faceted topic. The Cotonou Partnership Agreement aims to reduce poverty and contribute to sustainable development by the gradual integration of ACP countries into the world economy. It will end in 2020, and discussions on its future have now begun in earnest and will be a top priority for the ACP and EU development focussed stakeholders during 2015. Today’s rapidly changing global context on both sides of the partnership require a fundamental rethinking of the narrative, tools and channels of ACP’s relations with Europe, and vice versa. The overview guide brings together summaries of ECDPM publications and analytical resources from recent years covering issues of relevance to the Cotonou Partnership Agreement and ACP-EU relations including reflections on the future of relations between the partners, but also the political, development and trade aspects of the relationship. 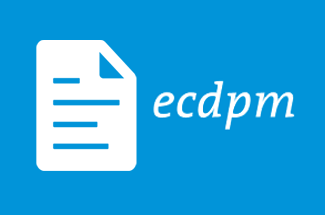 ECDPM will be continuously conducting analysis on the future of ACP-EU relations and CPA in 2015 and future versions of this overview guide will be updated to reflect this. We actively welcome your feedback to improve any subsequent versions of this publication. This publication is too large to be sent as an email attachment so has to be downloaded from the link above but we are also happy to send you a hard copy if you would prefer, please just do send us your mailing address. 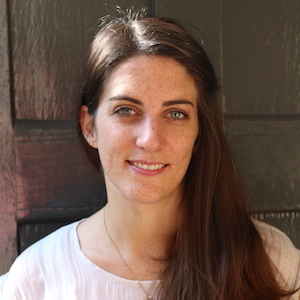 Please contact Cecilia Gregersen (cg@ecdpm.org), Research Assistant to the Strengthening European External Action Programme, to let us know your thoughts, feedback or to order hard copies. We do hope that you find this and other ECDPM work useful and always welcome dialogue with those also involved with these issues. 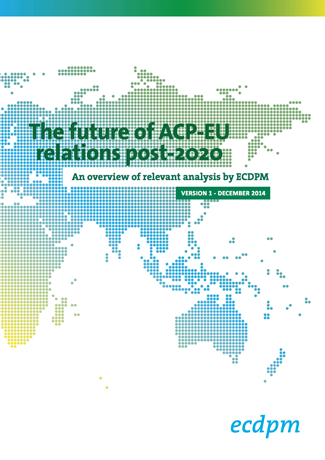 Our dossier on ‘The future of ACP-EU relations post-2020’ provides links to all ECDPM publications and analytical resources mentioned in the overview guide.